The Seychelles, Barcelona, Valetta, Mallorca, Doha – just some of the exotic locations the open water warriors of Ellesmere College Titans have already swum at this year. The action moves to Sheffield’s Rother Valley for this year’s Open Water Nationals today and then immediately afterwards to Loch Lomond and the European Open Water Championships. Alan Bircher, director of swimming at Ellesmere, has been appointed to lead Team GB’s open water squad at the European Championships, which will include Ellesmere College’s Hector Pardoe enjoying his first ever call-up to a senior Team GB squad. Pardoe goes into the Europeans in fine form after an excellent finish in July’s European Juniors 7.5km event in Malta, which also earned him an automatic slot in September’s World Junior Open Water Championships in Israel. Bircher said: “Hector delivers courageous swims event after event and fully deserves his place among the seniors. Ellesmere College has finished as the top open water club at the annual Swim England Open Water Championships for four of the last five years. However, Ellesmere are unlikely to retain their title in Sheffield this year with Pardoe competing in Scotland the following week and Griffiths being rested ahead of LEN Open Water Cup marathon events later in the year. This year’s Nationals team may be missing a few faces, but that won’t stop them fighting hard for medals. Shannon Dalligan, 16, is on a missionaiming to impress having missed out on a call-up to Team GB’s open water squad for the Best Fest series of races in Mallorca. A Nationals bronze medalist last year, Dalligan outswam a number of the Team GB swimmers at Mallorca this year as an independent competitorto show the selectors that she is a force to reckoned with. She also comfortably took gold in the regional round of qualifiers for her age group to get to this year’s championships at Sheffield. Katie Hale, 12, was one of the youngest Nationals Open Water qualifiers last year and earned a silver medal from a dramatic two-horse race over 1.5km. 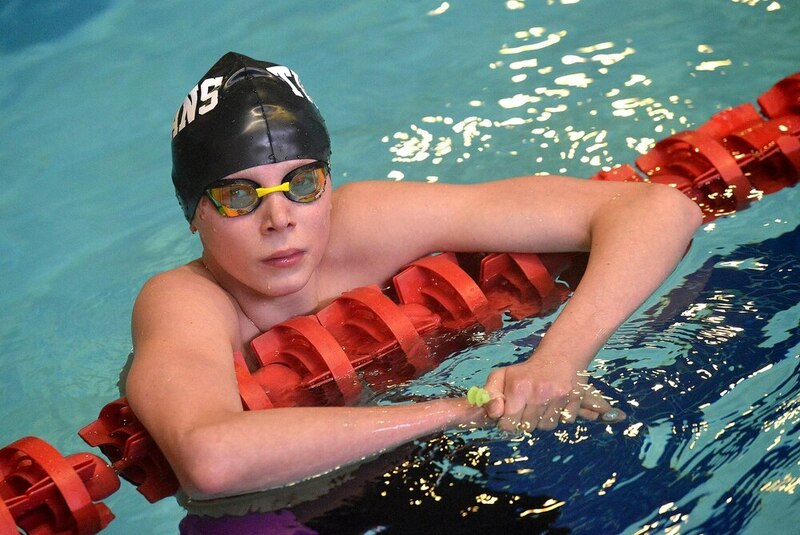 Hale led this year’s regional open water qualifier for her age group from start to finish and, with five swimming regional titles now under her belt in 2018, she has been boosted by some excellent swims in the recent Scottish National Open Championshipsand is hoping to medal again this year. Dalligan and Hale will be joined in Sheffield by team-mates Hannah Swift, 14, 13-year-old Archie Neaves and Prue Noss, 12. Swift qualified with a bronze in the regional Open Water Championships and both Neaves and Noss qualified by making pool-based qualifying times with outstanding swims at the West Midland Regional Championships.